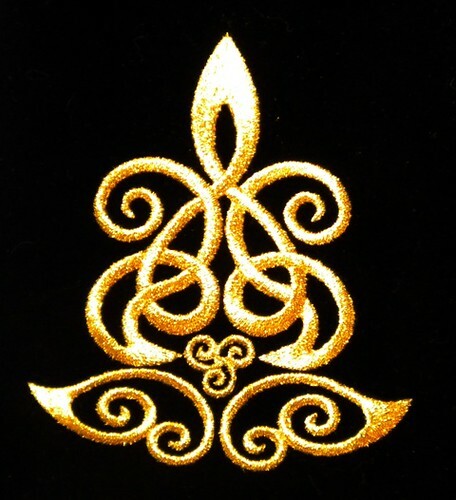 Folks have been asking about the embroidery topping that I used on Shaylah’s velvet bodice in the post below. Gina said she got it from her old sewing machine guy 3 or 4 years ago…I am sure whatever it was called it has probably changed by now. However, I did a search and found this permanent topping. There are many that are water-soluble, but I am thinking that what Gina gave me is a permanent one…it does not dissolve in water, though I have not tried heat. I like the idea of a permanent one which means the stitches will always stay up. 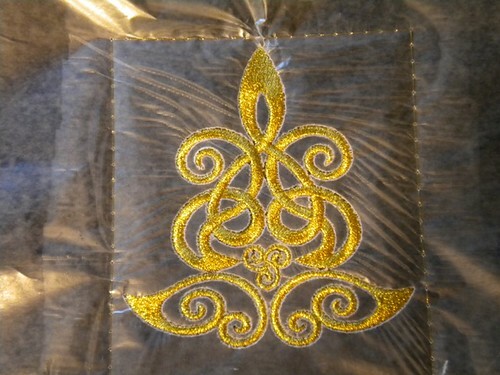 This could also be a really great thing for satin-stitching on sequins. 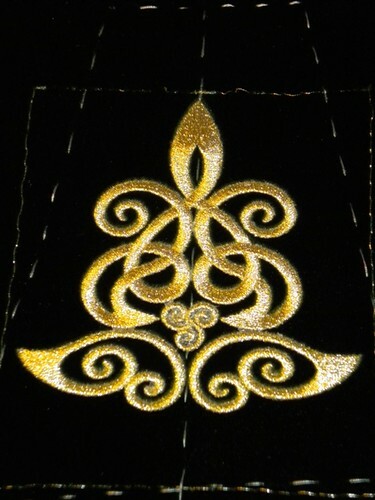 This stuff is thick enough that it should really help the satin stitch look smooth and even, and because it is permanent, the look will not change with water and/or heat. Found a new keeper. Thanks, Gina…did you want this roll back? 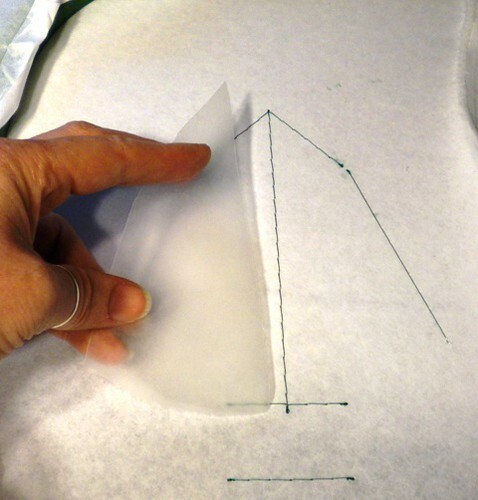 Mary from the ID Dressmaking group asked how I made my pleats on the last 2 dresses. As usual I figured this out by myself, meaning, “If I had just looked up some pictorial instructions on the internet I would have wasted MUCH LESS time!” Sounds like a man, huh? I had no idea what a pleater looked like. 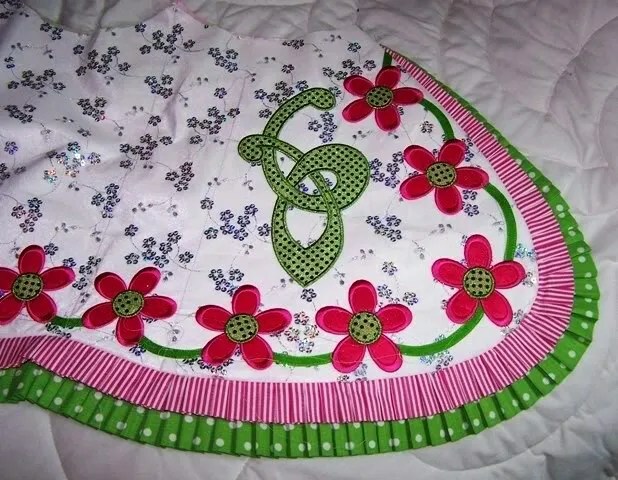 Susan said she had one I could borrow and truthfully, I was expecting something metal and machine-like because when I looked them up on the internet, I found smocking pleaters which look like medievel torture devices. …and this is the functional front. Quite ingenious, really. 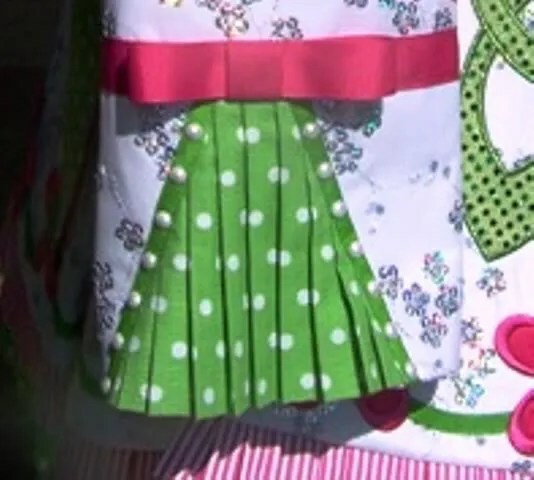 Close up of the open pleats. 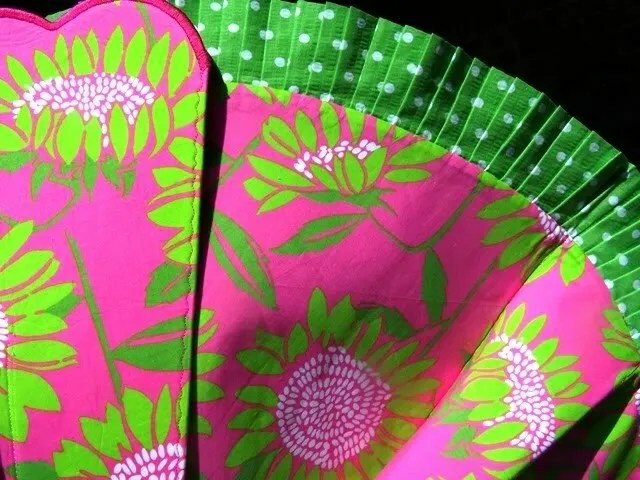 The first pleats I had to make were for the flower dress. Yards & yards of pleats. But by the end, I had a groove going! 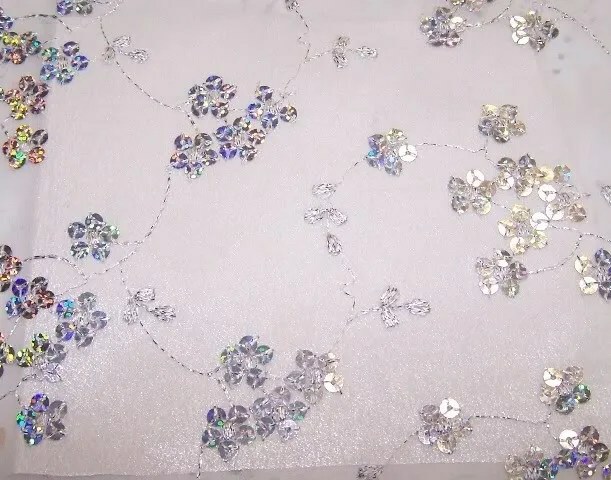 For the flower dress, I did not interface the fabric. As you can see, there were 2 rows of pleats and I felt that stiffening them at all would just add bulk. I also decided that I did not want a hem on the pleats because, quite simply, it would not have looked nice on the lining side of the skirt! I decided how long the pleats needed to be, added a seam allowance, then doubled the measurement so I could press the long width of fabric in half. Another reason not to interface the pleat was that the dancer wanted the sleeve pleat insert to have a bit of movement. 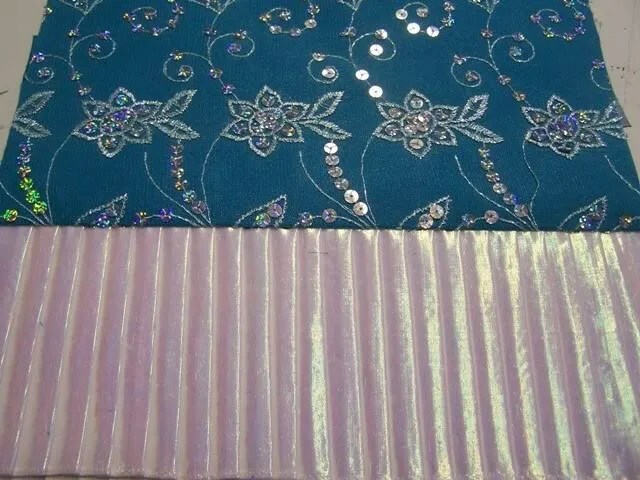 The iridescent pleats on Aislinn’s Teal solo were a different challenge because the fabric was quite different than the cotton seersucker used on the flower dress. 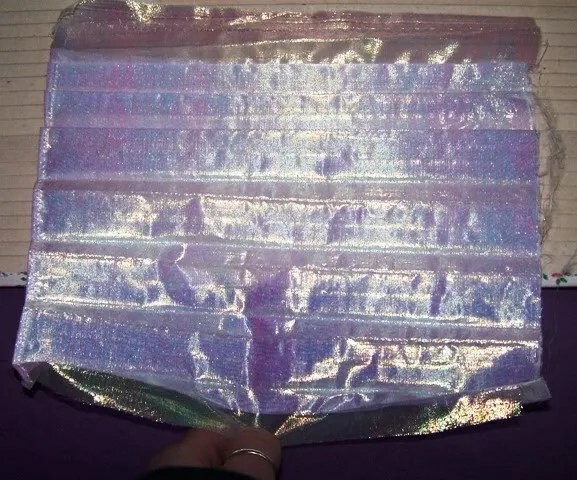 The iridescent overlay was fused to a shiny white fabric using Misty Fuse. I had fused it to satin first, but the result was heavy and very, very stiff. 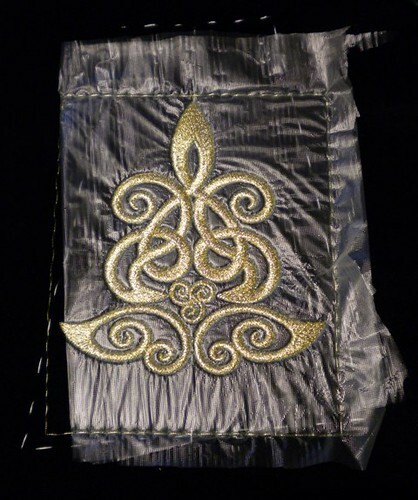 I ended up finding a shiny but very fine white lining fabric (that I did NOT interface) which cut way down on the bulk of the finished fused fabric. 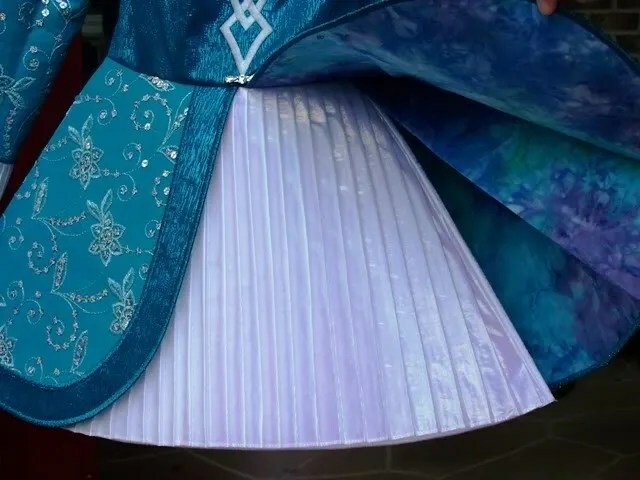 But because of the type of fabric that the iridescent fabric is, there was an over all stiffness to the fusion that made doubling this for pleats unwieldy, so I did put a hem on this before I began pleating. The rest of the process was the same for both fabrics. I decided to skip every other groove on the pleater. 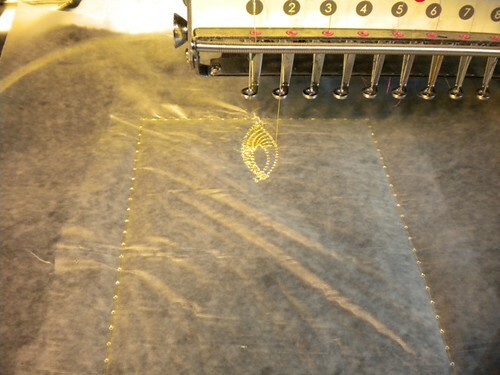 You start at the bottom of the pleater with the edge of your fabric. 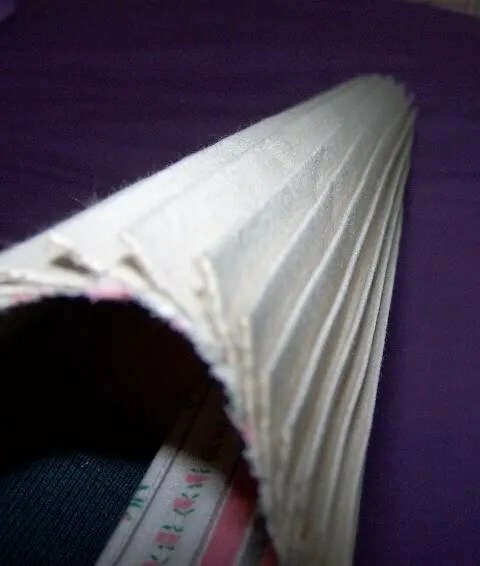 Remember that unless you want all of your pleats folding the same way, you have to do a new length of fabric with the hem on the other side of the pleater. The pleats below overlap to the left. 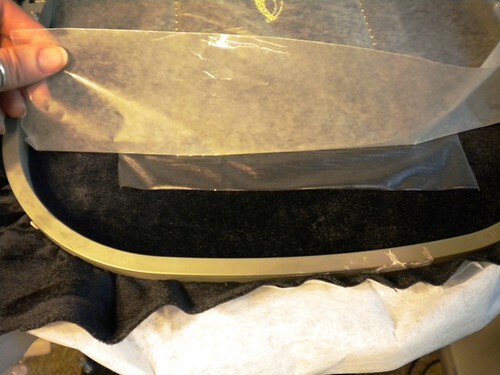 Open up a groove and press the fabric into it. 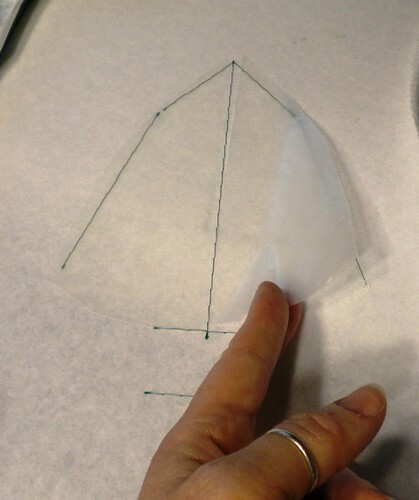 You want to press from the middle out to each side of the fabric as this helps you line up the hem. I have seen a “tool” for doing this that looks like a ruler that helps press a whole length into the groove…I might try that next time. But I had a built in tool…my fingernails! Long enough to press the fabric all the way in and then run it all into the groove! Think I can write off my manicures on my taxes now since my fingernails are sewing tools!?! 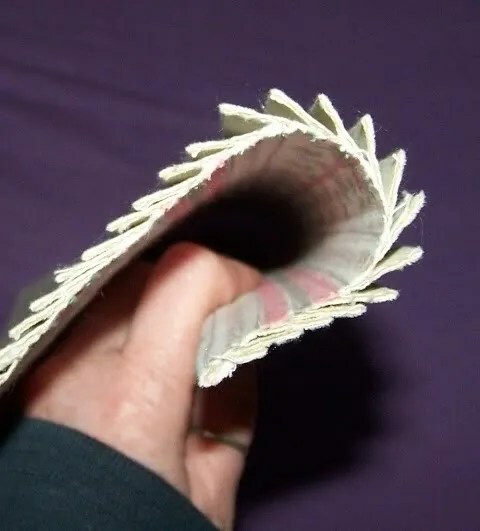 When it is all folded into the pleater, you press it. I used a pressing cloth over this so I wouldn’t melt the fabric and so the steam would go through. 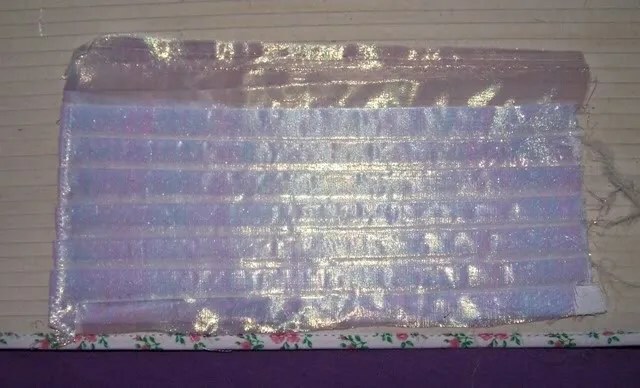 I tried it with parchment paper, but the steam could not get through and it is the steam that gets through all the layers of fabric and pleater to set the creases. After I press and steam thoroughly, I let it cool. Takes a bit (pleating is not a fast process…get a stool, a glass of wine, and watch a good movie while you do this as you are waiting more than you are pleating!). I remove the pleats by curling the pleater and gently pulling the fabric out. 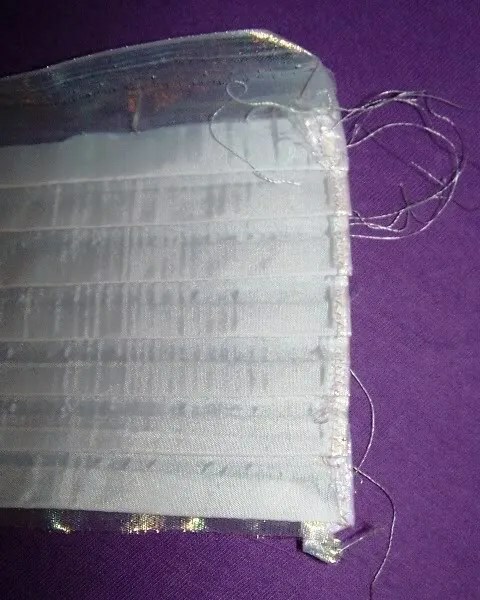 Then, I begin again by inserting the last pleat made into the pleater and continue up the fabric. 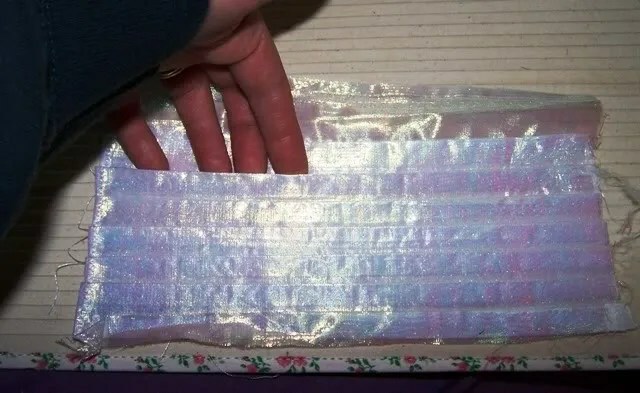 When I was done with the full length of fabric, I then laid the whole thing on my ironing board, arranged all the pleats correctly, laid a pressing cloth over the whole thing, and pressed it all again. I left the pressing cloth on it this time to let it cool as the cloth held it all flat. 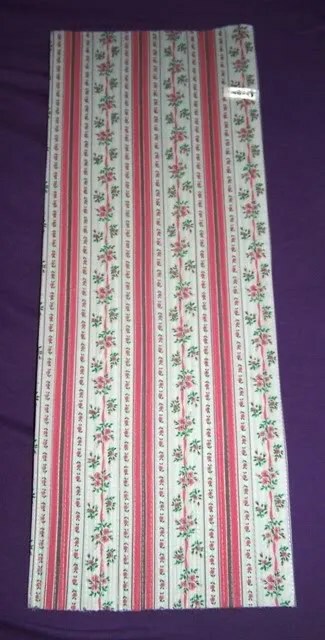 With the stiffer fabric, I also laid one of my really long, wide rulers on the hem to make sure it laid as flat as possible. 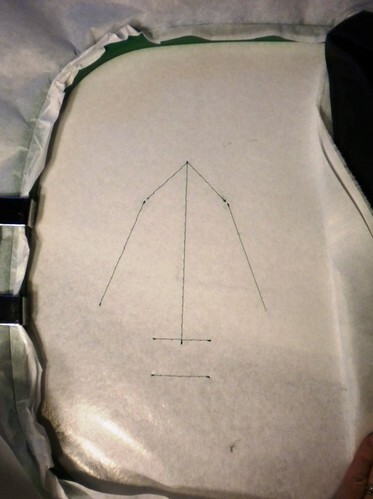 When it was cooled, I then ran a straight stitch along the top so that sewing it to my other fabric would be easy. Here is the finished sleeve. Here is the center front panel. 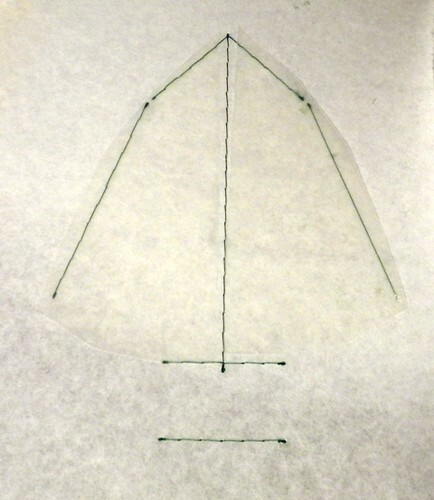 The pleats are not attached to the panel except at the sides and top. Even though there is not a lot of swing in this fabric, it is still loose. Today I did find these instructions here. 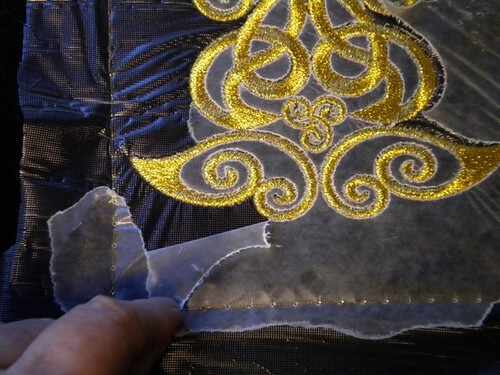 One of the ever-nagging problems we Irish Dance dressmakers face is how to attach overlay to our base fabrics so that they do not shift or wrinkle during embroidery and sewing seams. I have used temporary basting sprays which I hate because of the smell and the resulting headache, even when I spray outside. I used regular Wonder-under on the bodice of my current dress…it works beautifully under the organza but it does make the fabric stiffer, not something everyone wants. 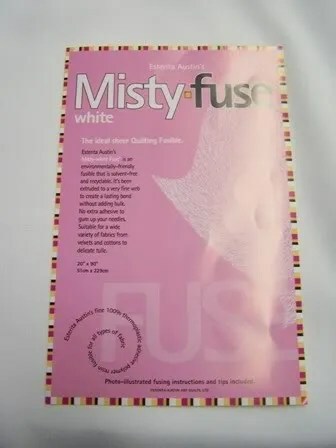 Somewhere, on some dressmaking board, someone put up a link to Misty Fuse. I decided to try it and found it on sale here. So what do I think? Fantastic stuff! 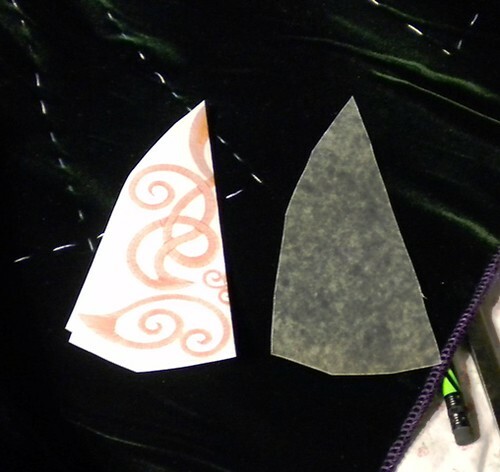 Anytime you “fuse” 2 fabrics there will be a change in the fabric drape, but the stiffness of this stuff is minimal. Here you can see how sheer it is. Here is a sample with the chiffon overlay. The effect on the sheen of the satin underneath is almost non-existent…look near the bottom of the pic and you can see the sheen. Then, for the hell of it, I tried it to attach some tulle to the satin. 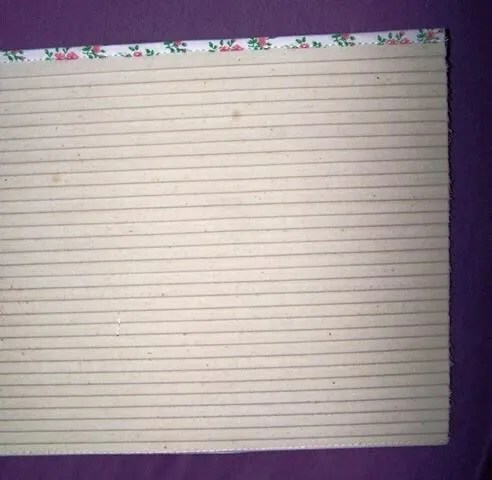 Only drawback to this stuff is that it does not come on it’s own paper backing. 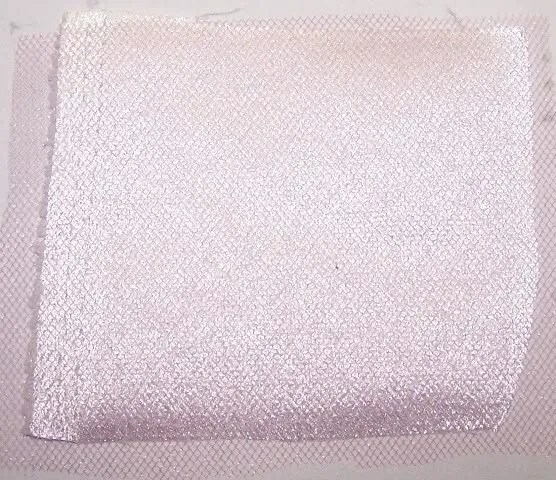 That would make life a bit easier since you have to work your way through layers of this soft filmy stuff to find a single layer and then you must use parchment paper if there is room for it to bleed through as there obviously is on tulle. 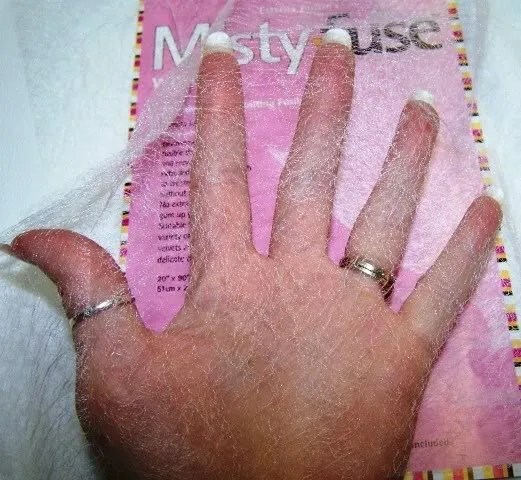 I found that I needed a higher heat here because even though the tulle was firmly attached, I could clearly see the Misty Fuse mesh. Pressed it several times with the parchment with no change. Just to see if I could melt it, I put it directly under the press with no parchment…obviously made a mess on the heated part that I had to clean up, but it did melt it! Could be a problem…the higher heat, I mean. Can’t always use a high heat on all of our fabrics. But, you cannot see it through the chiffons at all. Notice the satin sheen through the tulle? I think I have found a keeper.